aka JT Appraisal Services, LLC. "WE ARE HERE TO SERVICE YOU"
Let us help you with all of your appraisal needs. Our family owned company is Committed to Quality and Service. 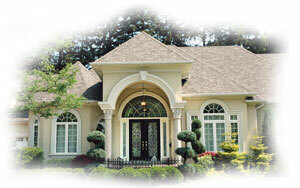 With many years of experience in the Residential Real Estate Appraisal business, we are NJ Licensed and Insured. We have a proven track record of reducing lenders time, efforts and costs in managing the appraisal process. Our Appraisers are here to service you, always working around your busy schedules, to accommodate you! Through our web site, you can perform a number of tasks. Ordering an appraisal is just a click of a button away. Or, spend some time and find out a bit more about the appraisal business. The more you know, the better decision you can make. And check back frequently, as our content is always being updated. Copyright © 2019 JT Appraisal Services, LLC.